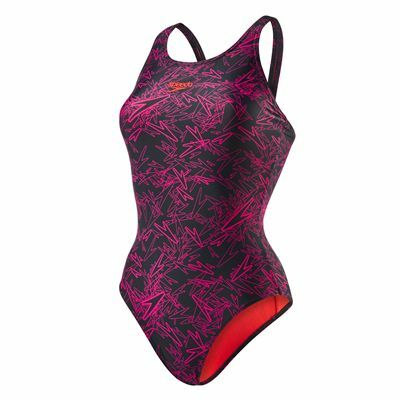 Perfect for swimming and lounging in the pool, the Speedo Boom Allover muscleback ladies swimsuit lets you train in comfort and style and has a funky, eye-catching print. This quick-drying swimsuit provides added softness and ensures greater mobility thanks to a multidirectional stretch fabric and features a comfortable medium leg height. It is produced from Endurance®10 material to resist snagging and fading and guarantees 100% chlorine resistance. for submitting product information about Speedo Boom Allover Muscleback Ladies Swimsuit We aim to answer all questions within 2-3 days. 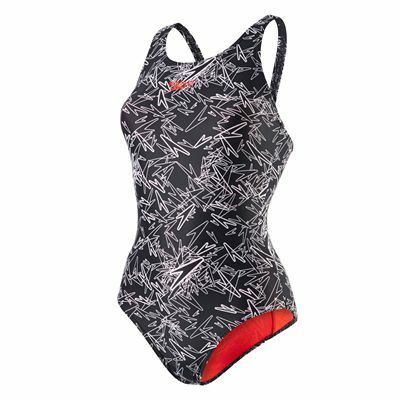 for submitting product information about Speedo Boom Allover Muscleback Ladies Swimsuit. We aim to answer all questions within 2-3 days. If you provided your name and email address, we will email you as soon as the answer is published. Terrible Fit. the swimsuits are drastically undersized no fault of sweatband just the product speedo need a kick up the arse - I'm generally a size14/ 16 a size 18 was still too small shocking don't buy it go to zoggs. for submitting product review about Speedo Boom Allover Muscleback Ladies Swimsuit.